Assist in finding and procuring new bid opportunities and recommending projects to pursue. Maintains and works to expand current contact information and relationships with subcontractors and vendors. Plan, organize, and direct activities concerned with the construction projects. Plan and evaluate construction methods and determine the most cost-effectiveness approach and methods. Schedule the project in logical steps and budget time required to meet deadlines. Direct the preparation of contracts and subcontracts and negotiate revisions, changes and additions to contractual agreements with architects, consultants, clients, suppliers and subcontractors. Prepare and submit budget estimates and review progress and cost tracking reports. Coordinate and requisition supplies and materials to complete construction projects. Take actions to deal with the results of delays, bad weather, or emergencies at construction site. Identify, process, and submit change orders. Confer with superintendents, owners, contractors, and design professionals to discuss and resolve matters such as work procedures, complaints, and construction problems. Supervise construction sites and direct superintendents and subcontractors to make sure standards of building performance, quality, cost schedules and safety are maintained. Develop and implement quality control programs. Inspect and review projects to monitor compliance with QC, building and safety codes, and other regulations. Direct and control the process of producing payment applications to clients. Knowledge of business and management principles involved in strategic planning, resource allocation, human resources, leadership techniques, production methods, and coordination of people and resources. Knowledge of construction materials, methods (include CMAR and Design-Build), and the tools involved in the construction of buildings or other structures such as highways and roads. Knowledge of principles and procedures for personnel recruitment, selection, training, compensation and benefits, labor relations and negotiation. 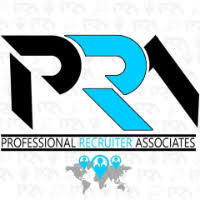 For immediate consideration, please forward a copy of your current resume to info@profrecruiters.com referencing job #1793 or a link to this job.